The design for this family home was a direct response to a unique development site. 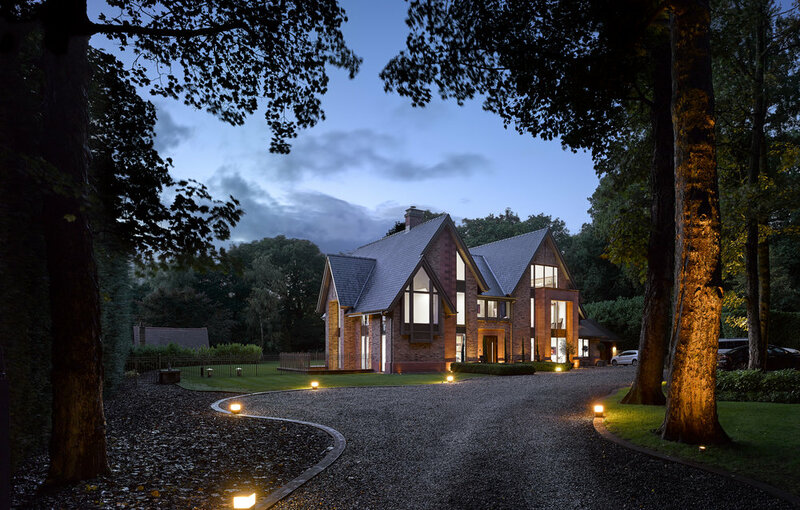 Working closely with the end-user client, the key emphasis was to create a luxury family home in one of the most desirable locations in Cheshire. The layout contains a series of naturally flowing, contemporary and dramatic, open plan spaces suited to modern living. With its elegant lines, the home blends seamlessly into the landscaped site; the steep roof pitches and full height glazed openings create an elegant blend of traditional local vernacular and contemporary detailing.